Hello my friends, and thank you for stopping by today and joining in on our Prayers for the Week post. This weekly post is our way to help you with the prayer requests and praises that you have, and I am glad that I am able to compile these for you. Please take the time to read all the way through our post, as we have a lot of prayer requests for today. 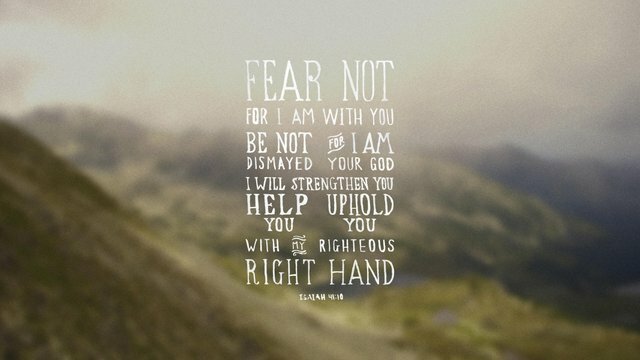 I’ve been led to share with you a very powerful verse — one of my favorites, from the book of Isaiah in the Old Testament. My friends, there is a lot of fear going on in the world today. Fear over what is going on with our children, fear over what is happening with the world, with our military in Iraq, with the turmoil between Israel and Hamas, and fear with what is going on with our jobs. In all of this, I urge you to remember that we are not alone — that if we turn to God, He will help us out. His help may not be the help we are looking for, but His plan for us is perfect, while our plan for ourselves is often flawed. My friends, please read and pray for these requests, and remember, in our praying, God is with us. Good news from my friend Amanda about her husband Daniel’s condition. Here is what she writes:Another short update! Daniel is doing very well. If everything stays on track, he may be discharged sometime this week – so a few days earlier than anticipated. The liver is doing great and has thus far stayed out of the danger zone! The surgeon was able to get negative margins on the tumor so we think they got it all. I’ll send another update when we get the discharge papers unless something changes between now and then. THANK YOU for all of your prayers! I’m feeling like I may have gotten my miracle you all helped me pray for! And I have no doubt all of us praying is what got it done! God is great! Prayers for my friend Heather, whose husband Adam lost his father. Here is what she wrote:Adam’s Dad went to his Heavenly home early this morning peacefully at his home surrounded by family. Please continue to pray for the family. We will have a memorial service and we will post the info when it is planned. Thanks for all the prayers. He will be missed by many but we know that he is rejoicing with God and we will see him again.Please pray for God’s Peace, Comfort, Mercy, and Strength to descend upon them in their time of grief. Ed, I will definitely be praying for you and your mother and sister (all of your family, for that matter). I’ll pray for God’s Peace to descend upon you all, for God’s Comfort to take care of your Mom, for God’s Strength to see you all through this, and lastly, for God’s Love to remind you all of all the love that you share, and to remember the great memories you have. I will also include this with my prayer warriors too so they can lift you up also.Please pray for Ed and his family in their time of trial. Thank you! Ed informed us that his Mom passed away this morning. Please continue to pray for Ed and his family, for their strength in the coming days, weeks, and months, as they learn the impact of what it is like not having their Mom there, and that God’s Peace and Comfort would blanket them in their time of sorrow. When it rains it pours. Very discouraged. Need love & prayers friends. Please pray for my friend Amy’s cousin Brooke. Brooke has had a stroke, she’s 33 years old. Here is what Amy’s aunt wrote:My dear sweet friends I come to you with a heavy heart but lots of faith. Brooke is in a very bad way. She has had a stroke and a blood clot in a vein from her heart to her brain. There are several things they can do with major danger. I know God has his own plan of healing so I’m hanging in there for now. The part that’s damaged controls her waking up and vision. They say she might not ever wake up but I have to believe she will. Thank you for your prayers but don’t stop now we have a very long way to go. On a good note she has opened her eyes several times for just a second. I will be gone for a while to take care of her. Heather my other daughter will come on to up date you guys. Know that I love you all and thankful for your prayers. We really rely on all prayers. God bless you all.Please pray for her healing, for God’s Peace, Strength, and Comfort to descend upon all of them, and for the God to skillfully guide her doctors.Thanks, everyone. Afraid… When is enough enough? Katy’s kidneys are giving out again. I miss my girl. Katy is having a really tough day. Not sure how this is going to play out… Not sure how I am going to say goodbye to my baby girl. Running out of options. Lastly, my friend Sheila reminds us of the prayers our animal friends need. Here is what she wrote:We need to pray for your dog too! Animals also need prayers. I hope and pray Regan gets better soon.Thank you Sheila for your prayers. Regan is much better. He had to go in on this past Friday for a follow-up to his ultrasound, as well as a dental cleaning and some mole removals. He is fine, but he really gets disoriented when he has had anesthesia. One of the moles they sent off for checking, so we don’t know that result yet, but we’ll take prayers for a good outcome from that. Thank you! Just before I was going to close our post down for the night, my friend Brooke — who is listed above in our prayer requests, shared these words:Sometimes this world brings trouble I find so hard to bear. I know I could not make it without Jesus being there. When she told me I could include them, she also posted a link to the song that those words are from. I thought you all might enjoy to listen to the song as much as I did. Enjoy!